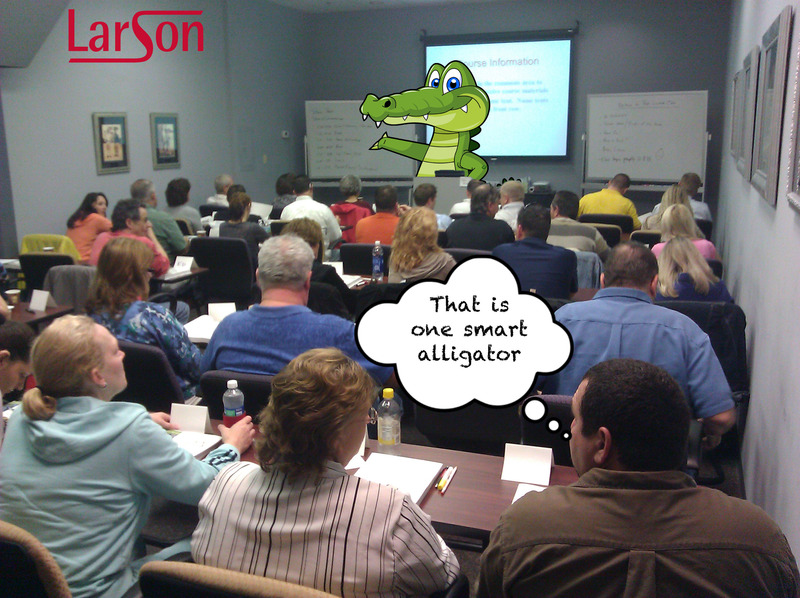 Okay, how the heck did a Florida gator get in front of the classroom? Oh well, it looks like he’s doing a nice job. Good open body language and everything, but still.